They came on very late and very strong, and the Stahancyk, Kent & Hook AIDS Walk 2015 team has met its fundraising goal in just three days! Thank you to the attorneys, shareholders, staff, and friends of the firm who made this possible. 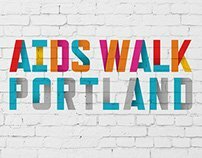 All funds raised from AIDS Walk Portland 2015 will go to the Cascade AIDS Project, which has been helping support and empower people living with HIV since 1983. SKH Portland associate attorney Jennifer Sackett made a generous donation — her second– to push the team over its goal with just hours until the fundraising deadline. For Sackett, the fight against HIV and AIDS isn’t over. “I think AIDS research continues to be so, so important–almost because I think a lot of people believe it is no longer such a deadly disease,” said Sackett. “The advancements, which have come in the form of medication and therapies for people living with HIV, while wonderful, have perhaps lead in part to a false impression in the public that the AIDS epidemic we all heard so much about a decade ago isn’t still a huge problem for our society,” she said. Come down to the Fields park in downtown Portland’s Pearl District to join shareholders Laurel Hook, Brad Miller, Arthur Saito, and their friends and families for what is to be a gorgeous late summer afternoon. Not into walking? Following the 2.4 mile walk through downtown Portland, Bridgeport Brewing will be kicking off a beer garden at 2:30 p.m. The walk begins at 1:00 p.m. from the Fields park at NW 11th Avenue and Overton St.